Photos for Finals on Aug. 15 are live now. 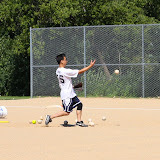 Week 2 Photos for Aug. 8 are on IISL’s Picasa page now. Slideshow: Here is the link. Photoshots1: Pictures by Mark V. and here also. Photoshots2: Pictures by Andrew and here also.